Nonparametric density estimation in the presence of measurement error is considered. The usual kernel deconvolution estimator seeks to account for the contamination in the data by employing a modified kernel. In this paper a new approach based on a weighted kernel density estimator is proposed. Theoretical motivation is provided by the existence of a weight vector that perfectly counteracts the bias in density estimation without generating an excessive increase in variance. In practice a data driven method of weight selection is required. Our strategy is to minimize the discrepancy between a standard kernel estimate from the contaminated data on the one hand, and the convolution of the weighted deconvolution estimate with the measurement error density on the other hand. We consider a direct implementation of this approach, in which the weights are optimized subject to sum and non-negativity constraints, and a regularized version in which the objective function includes a ridge-type penalty. 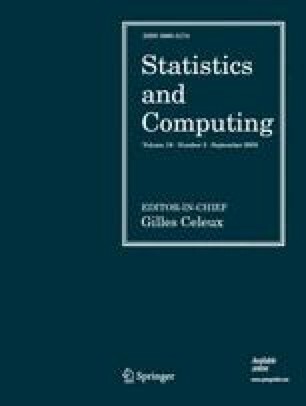 Numerical tests suggest that the weighted kernel estimation can lead to tangible improvements in performance over the usual kernel deconvolution estimator. Furthermore, weighted kernel estimates are free from the problem of negative estimation in the tails that can occur when using modified kernels. The weighted kernel approach generalizes to the case of multivariate deconvolution density estimation in a very straightforward manner.